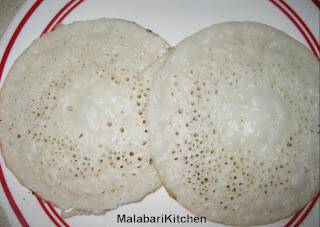 This is special breakfast dish in malabar region made of rice flour and coconut. =►Soak white rice for 3-4hrs and grind it with warm water(as rqd) to make thick paste. =►Pour this batter into a vessel and add hot water slowly stirring continuously. until batter becomes like loose dosha batter. =►Add coconut and salt to taste and mix it properly & keep it aside for 10-20min. =►Preheat ottada tava (ottada chatti) and pour two and half ladleful of batter into it. =►Cover it with a lid and cook it for 5-7min in medium flame. =►Once it is cooked we can see small small holes (otta) will be appearing. 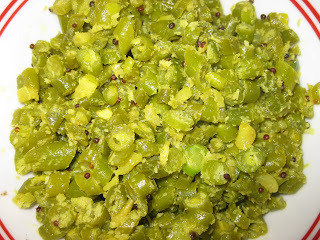 =►The cooked ottada can be takeout from the pan using ironspatula. 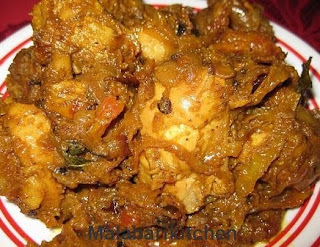 =►Serve hot ottada with chana masala or any other gravy. Note: One and cup rice enough for making 5 or 7 ottada. Increase the add to the taste. If you are making ottada for the first time using the ottada chatti then it may not come good.